The Ribble Valley Business Awards (or RVs) is all about championing the people and enterprises that make Ribble Valley such a great place to live, work and visit. This awards initiative – new for 2014 – is organised by the volunteer mentor team at Enterprising People – a project offering free, one-to-one mentoring support for local people and organisations with innovative ideas they want to make happen. NOMINATIONS WILL START ONLINE IN JULY. To see a full list of awards and sponsors, please click here. After winning a Queen’s Award for Enterprise in Sustainable Development in 2010, recycling and waste management firm Recycling Lives has just scooped the award for the second time. On this occasion, it was the company’s recently launched “Flat Panel Display recycling and employment project” at HMP Kirkham that impressed the judging panel. By establishing a busy recycling centre within the prison, and integrating the training and work experience opportunities there with the six-stage charity programme available at its own premises, Recycling Lives offers prisoners at HMP Kirkham the chance to secure supported accommodation and stable employment after release. Widely accredited for its environmental management, the company targets niche recycling markets, processing previously unrecyclable items, such as flat screen displays, and making working components available for re-sale where possible. Thus, Recycling Lives diverts products from landfills and contributes significantly to environmental improvement. Through its work, the organisation offers ex-offenders, homeless people and long-term unemployed individuals routes to employment via rehabilitation, training and accommodation, enabling them to develop vital social and employability skills. Bu supporting charities, social enterprises, community ventures and ethical businesses, Recycling Lives sets a benchmark not only for the sector, but for industry in general. Recycling Lives was founded in 2006 and is headquartered in Preston, Lancashire. The company is considered a social business by its directors, having expressed a commitment in 2011 to working only on projects which demonstrate a positive social impact. In addition to its earlier Queen’s Award, Recycling Lives was championed for its commitment to positive social impact in a 2012 Government white paper entitled “Social Justice: Transforming Lives”. The company’s founder and chief executive, Steven Jackson OBE, was also recognised in the 2013 New Year Honours List for Services to Employment and the Community in Lancashire. 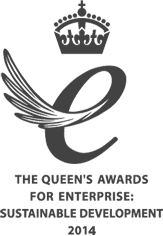 We’re all incredibly proud here at Recycling Lives: to be recognised not once but twice by the Queen’s Awards for Enterprise is a huge honour. For years, Recycling Lives has sought to develop effective and creative solutions to recycling and waste management challenges that prioritise not only environmental sustainability, but social and economic sustainability as well. Organisations need to see that it is absolutely possible to build up and sustain a successful commercial business while making Corporate Social Responsibility a primary concern. In addition to expanding its commercial recycling and waste management activities, Recycling Lives hopes to extend its social impact via its charity-led Community Dotcom services. The company’s nationwide Community Dotcom schemes, including SkipHireNetwork.org, OfficeClearanceNetwork.org, BulkyWaste.org and ScrapCarNetwork.org, enable charities and ethical businesses to deliver reuse and recycling services to householders across the country. If you’ve got an idea for a project to improve your local community, this programme can help make it happen. We’re offering a fully funded year of learning and a grant to help you get started on a new idea or scale up an existing social enterprise. During the programme you will develop as a leader and obtain the skills needed to take your organisation to the next stage. The programme is incredibly practical and students can expect to learn from their peers, build new networks and be challenged by practitioners. Start Up will get your new project or idea off to a flying start. 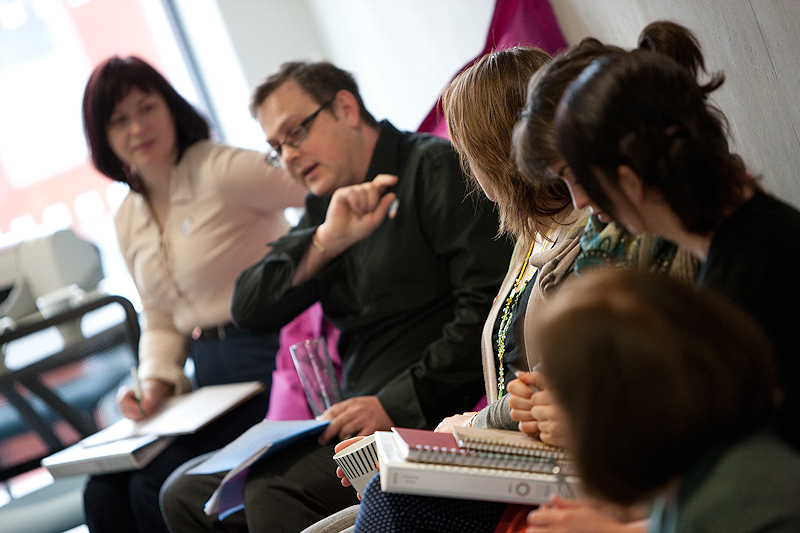 Scale Up will help you grow an established social enterprise. 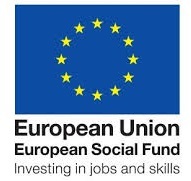 The European Structural Investment Framework outlines how funds will be used to increase productivity levels for key economic sectors, promote sustainable employment growth and tackle the barriers to employment for Lancashire’s most disadvantaged communities and increase capacity to unlock the economic potential of Lancashire’s businesses and residents. Liz Tapner, Chief Executive of Selnet Ltd and a ONE Lancashire Director along with consultations from the wider sector has represented the Social Enterprise and Third Sector and this is where the process is at to date. Please find attached the copy of the ESIF 31st January 2014 Submission, This document has gone to the National Growth Board and comments and feedback will be issued. Therefore the document is likely to change between now and possible national endorsement/approval in May 2014. Once we have feedback and have been given more detail on the processes for selecting projects, etc we will arrange a further stakeholder event to discuss the implementation of the ESIF (in the context of the ERDF/ESF/EAFRD national Operational programmes). We’re excited to let you know that Locality and partners are now accepting applications for the Our Place programme. From 20 January, the eligibility checker and guidance notes are on the My Community Rights website. This £4.3m programme of support and grants will help areas working to transform local public services. Locality, the Local Government Association and delivery associates are supporting at least 100 areas as they work towards making services in their neighbourhoods such as adult social care, health or employment better for all. Apply early – we’re expecting a large number of applications so we recommend that you submit your application in good time. There are plenty of resources to help you with your application such as the Starter Pack, insights from the pilot organisations and top ten tips for success. See our FAQs for the questions we’ve been responding to over recent weeks. You can contact us through the advice service if you have further questions. 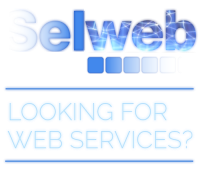 We look forward to helping you make a difference in your area! *Please note that we are not able to provide grants for capital projects or running costs which relate to a specific building or an individual organisation’s service / activity. For the 2014 to 2020 funding period, the European Regional Development Fund (ERDF), the European Social Fund (ESF) and part of the European Agricultural Fund for Rural Development (EAFRD), will be brought together into an EU Structural and Investment Funds Growth Programme. The top priorities of this Programme are innovation, support for SMEs, low carbon, skills, employment and social inclusion. Local Enterprise Partnerships (LEPs) have been asked to set out how it intends to use the Growth Programme Funds in a European Union (EU) Structural and Investment Funds strategy. In developing its strategy, the LEP will work with and reflect the interests of a broad range of economic, social and environmental partners, including businesses, civil society, rural partners and further and higher education institutions. Lancashire is one of the largest local economies in the North of England. ESI funds will increase productivity levels for key economic sectors, promote sustainable employment growth and tackle the barriers to employment for Lancashire’s most disadvantaged communities and increase capacity to unlock the economic potential of Lancashire’s businesses and residents. Lancashire has over 1000 Social Enterprises working on a range of activities across the economic, environmental and social spectrum. These businesses support and encourage economic activity amongst the most excluded and hard to reach individuals, and realise business activity and growth in areas where other sectors have failed, specifically within Lancashire’s more deprived communities. Liz Tapner, Chief Executive of Selnet ltd (Social Enterprise Lancashire Network) and ONE Lancashire director was asked to contribute to the strategy for Lancashire to represent Social Enterprises and the wider Third Sector. Liz, a chartered business adviser and business mentor has extensive experience of providing business support to a wide variety of organisations across the North West. Through Selnet and as a Director of ONE Lancashire, Liz is well placed to advise on the strengths and importance of the Third Sector to the growth of Lancashire’s economy. Through attendance at the Technical Assistance Group of the Lancashire European Network (LEN), Liz is currently working with senior public sector officers and writers of the plan of which the LEP’s role will be to oversee delivery for the next 7 years. EU monies will need to be matched and Liz is working with ‘opt-in’ providers such as BIG Lottery and Social Investment Business (SIB). Lottery projects are still to be defined but will stand alone from the mainstream lottery programme releasing additional investment into Lancashire. SIB have developed the Local Impact Fund a fund that is bespoke to Social enterprise www.sibgroup.org.uk/lif. The strategy is now in its 2nd phase of development and due into central government 31st Jan 14. We will keep you updated on the plans and how they can impact on your business, organisation and community. Liz Tapner, Chief Executive of Selnet Ltd (Social Enterprise Lancashire Network) was asked to represent the Lancashire LEP (Local Enterprise Partnership) at a ministerial visit at St Georges Hall on 23rd January 2014 to launch the Liverpool City Region pilot of The Social Investment Business (SIB) Local Impact Fund. It’s aim to offer simple unsecured finance and investment readiness support to charities and Social Enterprises in the Liverpool City area. There are 2 pilots as part of the current EU programme Liverpool and Northamptonshire. A group of LEP representatives from across the North West had a private meeting with Chair at SIB Sir Stephen Bubb and Nick Hurd MP who gave recognition to the economic significance of the Third Sector as a growing and viable sector that needs affordable long-term finance. Questions from the session included how the LEPs are planning to support social enterprise as part of their economic growth strategy? To this Liz Tapner was able to respond that she has been working with the LEPs Technical Assistance Group who are currently writing Lancashire EU Structural Investment Funds Strategy (ESIF) enabling them to consult with Third Sector front line service delivery organisations and their support agencies. Liverpool City Region is showing great leadership in supporting the social sector by setting up a Local Impact Fund, how does Lancashire plan to provide similar opportunities? Through strong partnerships with Social Enterprise North West, Selnet, ONE Lancashire and her position within the Technical Assistance Group, Liz is championing ongoing support and investment to the Social Enterprise Sector in Lancashire and is keen to work with the Social Investment Business and the LEP to include setting up a Local Impact Fund amongst other initiatives. Read the following post Third Sector Representation in Lancashire’s Growth Plans to find out more about Lancashire’s growth development plans and how our sector is being represented. Lancashire’s army of social entrepreneurs were out in force at the annual Selnet Enterprise in Society Awards 2013. The glittering event was held at the Dunkenhalgh Hotel at Clayton le Moors on December 5th and is one of the largest awards ceremonies for social enterprise in the country. Hundreds of people from social businesses across Lancashire were vying for top position in categories such as Excellence in Training, Large Social Enterprise of the Year and the ultimate crown of being Lancashire’s Social Enterprise Champion 2013. Now in its fourth year and building every year, the awards attracted support from key partners including Recycling Lives, Unity Bank, Regenerate Pennine Lancashire, The Key Fund and SENW. Please check back regularly if you have an interest in these Social Enterprise seminars or alternatively email tracy@selnet-uk.com to be included in the mailing list for future announcements.